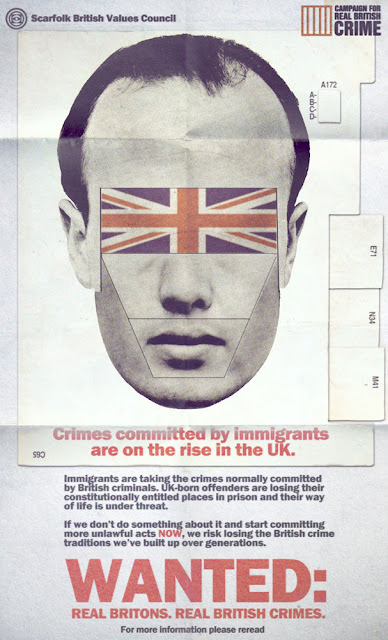 When immigrants began moving to Scarfolk in the mid-1970s, many local criminals worried that foreign offenders would threaten their livelihoods. They formed an organisation called the Campaign for Real British Crime (CRBC), which fought for the rights of UK born criminals. The CRBC demanded that the police prioritise investigations in favour of offences committed by British lawbreakers, for whom they also tried to ensure more convictions and longer prison terms. Campaigners for Real British Crime also attempted to reintroduce and encourage traditional, archaic crimes, some of which had not been committed in Britain for many years; for example, conspiring with a neighbour's goose while intoxicated, handling rhubarb and voles in suspicious circumstances, invoking demons while wearing a toupee, and committing crimes abroad when they can be carried out just as successfully at home. Love is the air like doves and butterflies and pulmonary tuberculosis. 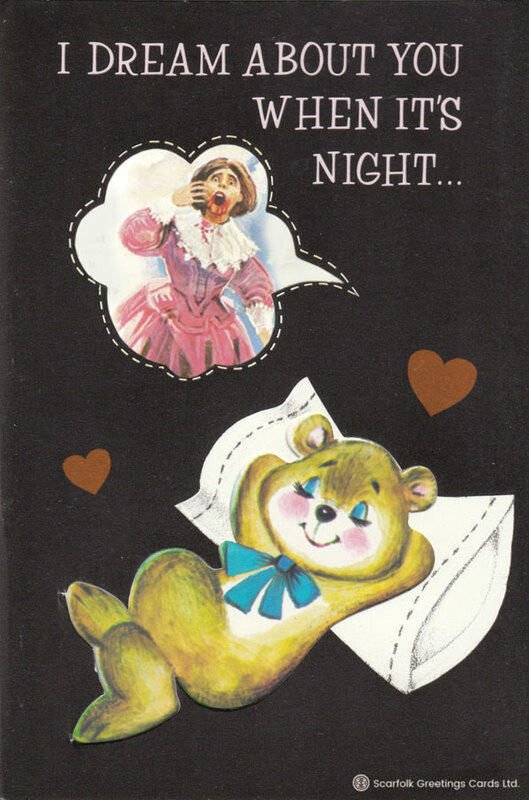 Happy Valentine's Day from Scarfolk. 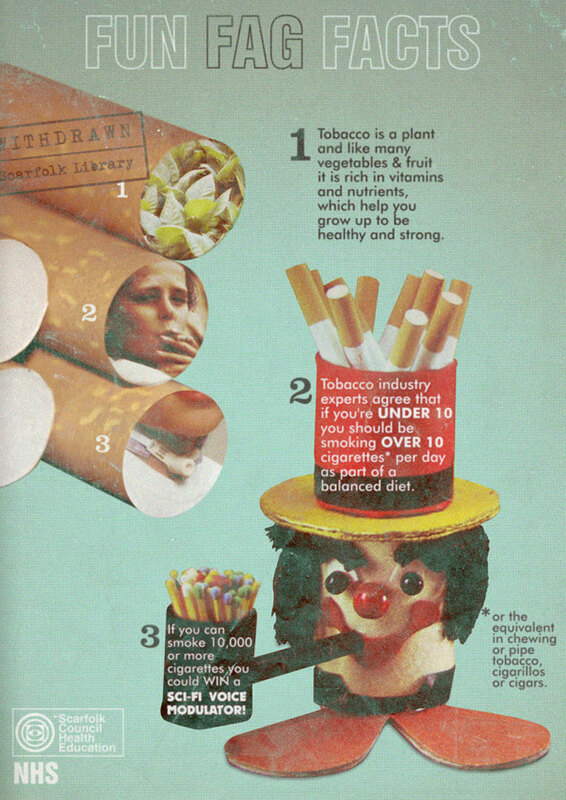 This info-tisement appeared in children's weekly magazines and on the walls of schools as part of the 1974 "Cigaretiquette campaign". It was funded in part by the SCRG (Scarfolk Cancer Research Group) who, having accidentally hired too many employees and purchased expensive premises, desperately needed a sharp increase in the numbers of cancer patients to attract the funding they required to maintain their organisation. See also: confectionery-branded cigarettes of the 1970s. 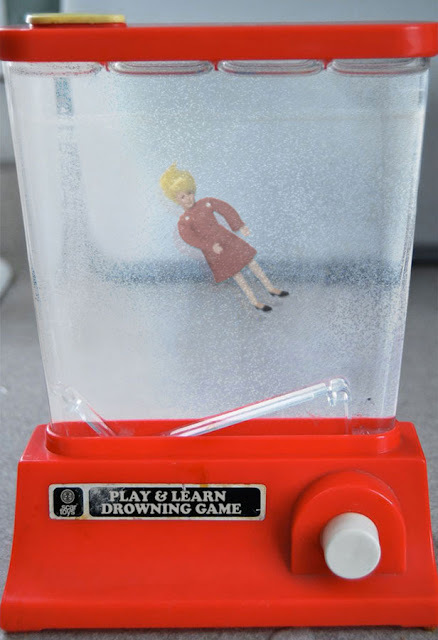 This is part 2 of our feature on water-based toys (see last week's Action Man waterboarding accessories). 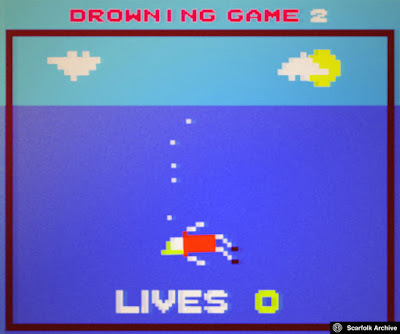 In the late 1970s, the government predicted that by the time the decade's children were grown up, suicides would be commonplace, perhaps even fashionable. This would be due to the "inevitable effects of living in a declining society in which the government has abandoned the welfare of its citizens in favour of fun hobbies it finds less boring", but mostly because "it will make suicide a compulsory part of national cutbacks". The minister for welfare proposed that "suicide clubs" be established (they even launched a slogan: "Let's all say Felo-de-se! 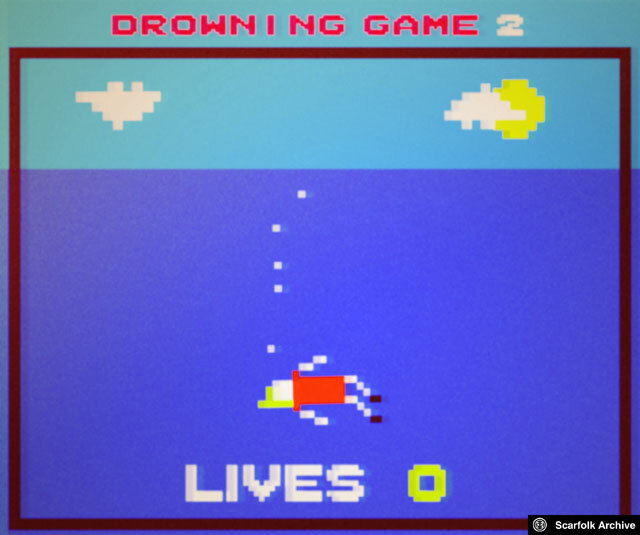 "), and that suicide methods be taught in schools and job centres by alternative-career advisors. The government also funded several toy manufacturers who created products which cast suicide in a positive light. One such toy was the Play & Learn Drowning Game, which was also adapted into a console game in 1978.